Tamil Nadu has bagged two awards, one for the State and another for its district Tiruvannamalai in the National Girl Child Day celebrations on Thursday. The celebrations were held in New Delhi as part of “Beti Bachao Beti Padao” (BBBP) scheme of the Ministry of Women and Child Development. 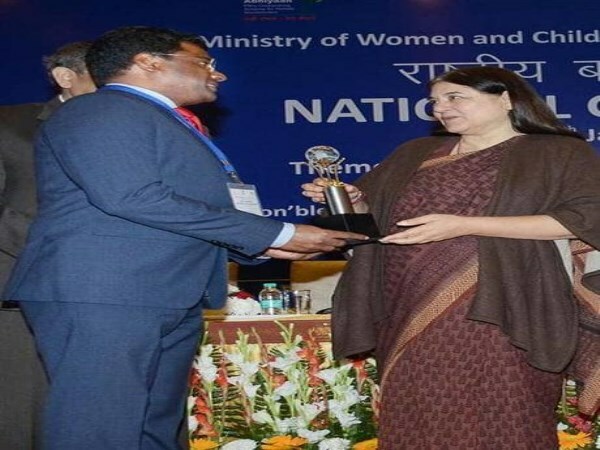 Union Minister for Women and Child Development Maneka Gandhi gave away the awards to the selected districts and States. Principal Secretary to the State government, K. Manivasan, received the State award while Tiruvannamalai District Collector K.S. Kandasamy received the district-level award from the Union Minister. Commissioner of Social Welfare V. Amuthavalli was present. Tamil Nadu was selected for its good performance on BBBP in the category “overall support, guidance, monitoring and achieving the targets of BBBP”. The State won praise for bringing out a guide book on BBBP in Tamil. Tiruvannamalai district was selected for district-level BBBP award under the category of “Effective community management” for its keen interest and commitment in implementing the BBBP scheme.